I am an Ethical Search Engine Optimization (SEO) Optimizer, and I have 3 Years EXPERIENCE about on WHITE HAT SEO. I would like to do 30 Post Forums on your Website. All Links will be the White hat ( Manually ) as well as articles Writing. I do not like Software Work. 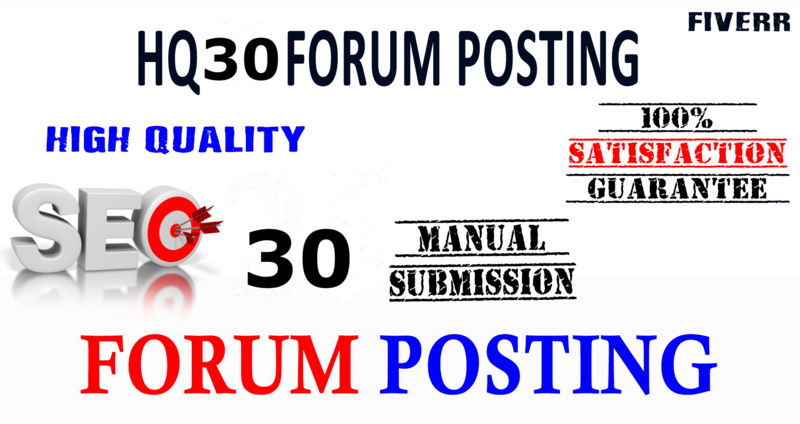 I wil Provide 30 General Forum Posting for your website is ranked 5 out of 5. Based on 5 user reviews.